We recommend you bring us your diamond jewelry for inspection every 6 months. Our jeweler will inspect the prongs to help prevent any possible damage or loss to your gemstones. Diamond inspections & jewelry cleanings are FREE!!! Have something in mind but can’t find it anywhere? 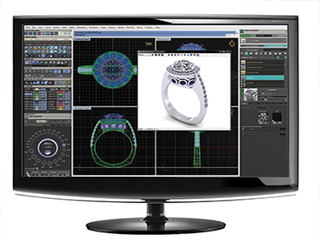 We’ll be happy to assist you through the process of designing a new piece. 20% Deposit is necessary unless stated before the work begins. Full payment upon receipt of custom work will denote the client’s satisfaction. All custom work is non-refundable! 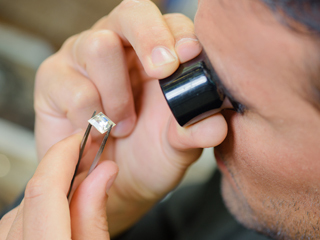 Our master jeweler repairman has 24 years experience. 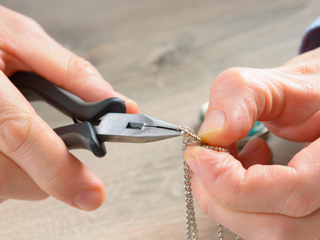 We can repair rings earrings, pendants, chains, pins, and etc. Setting stones in their original setting or new style can be done. We also repair costume jewelry. 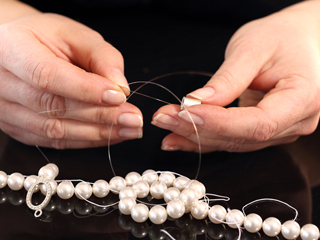 We will custom-string pearls and/or bead necklaces or bracelets. This can be done back to its original state or we will be glad to help you create a different style of your choice. We perform written appraisals appropriate for insurance appraisals at a price based on items. Each appraisal comes with detailed description and a picture of the piece of jewelry. We also offer FREE insurance appraisals on your purchase in the store. Watch battery replacement is done while you wait. 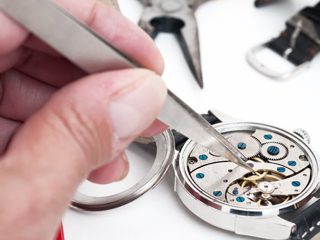 Watch repairs like removal or adding links are done on the premises with quick and reliable results. 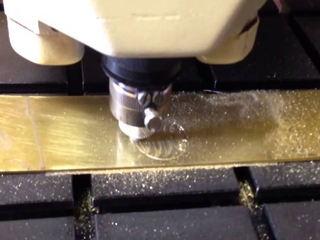 We offer engraving on merchandise purchased in store. Come see our selection of engravable items that make wonderful gifts for that special occasion. We offer a 90-day layaway with 20% down, including tax. After 90 days, expired layaways will receive an in-store credit for the money received. NO REFUNDS!!! We offer 90 days “same as cash” on merchandise over $300.00 and up, and 6 months “same as cash” on merchandise over $2500.00, with approved credit. Our financing is through a local finance institution. We also accept all major credit cards too! We repair most types of eyeglasses using our laser welder. Bring your glasses in for a free inspection and estimate. We offer quick, reliable service.